BUDGET LOT / AS IS SPECIAL! 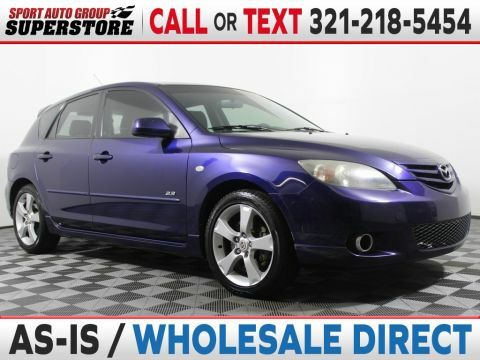 SAVE BIG on this 2006 Mazda 3 S Hatchback. 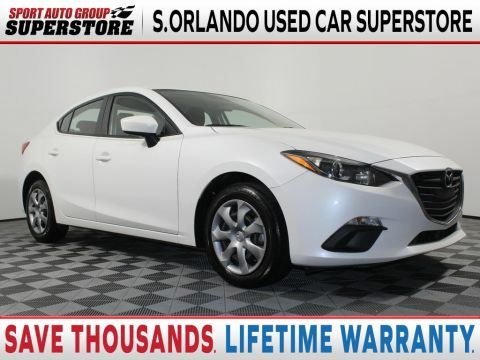 SPORT AUTO GROUP USED CAR SUPERSTORE - 9786 S. Orange Blossom Trail, SPORTY HATCHBACK, LOCAL TRADE IN, GREAT GAS MILEAGE, BLUETOOTH CONNECTIVITY, SAFETY INSPECTION COMPLETED, 17" Alloy Wheels. PRE AUCTION AS-IS NO DEALERS PLEASE !!!! Wholesale Direct - As Is Pricing from Don Mealey / Sport Auto Group - offering Unbeatable VALUE from a name you can Trust. We also offer Low Bank Rate Financing, Credit Union Financing and Credit Challenged Finance Solutions in a Reputable - High Integrity Dealership Environment. DealerRater.com's #1 Customer Rated Dealership and Dealer of the Year 6 Years in a Row w/ over 8,000 Positive Customer Reviews Online :) Our Wholesale Direct - Pre Auction vehicles are inspected and safety checked and offered AS IS to the Public. Our Used Vehicle Prices do not include tax, tag, electronic filing fee, pre-delivery service charge or Dealer Fee ($699). Due to the possibility of 3rd party errors or omissions, dealership is not liable for the accuracy of information in listing. THANKS for the opportunity to earn your business! BUDGET LOT / AS IS SPECIAL! 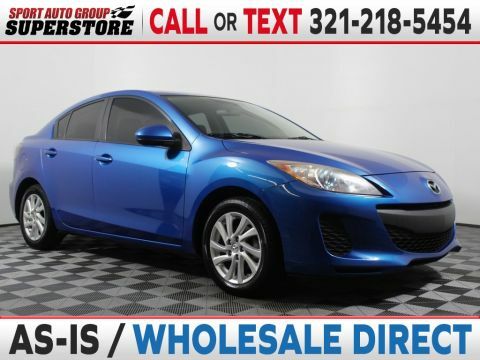 SAVE BIG on this 2012 Mazda Mazda3 i. SPORT AUTO GROUP USED CAR SUPERSTORE - 9935 S. Orange Blossom Trail, COMPACT SEDAN, LOCAL TRADE IN, GREAT VALUE, GREAT GAS MILEAGE, SAFETY INSPECTION COMPLETED, 16" x 6.5J Alloy Wheels. PRE AUCTION AS-IS NO DEALERS PLEASE !!!! Wholesale Direct - As Is Pricing from Don Mealey / Sport Auto Group - offering Unbeatable VALUE from a name you can Trust. We also offer Low Bank Rate Financing, Credit Union Financing and Credit Challenged Finance Solutions in a Reputable - High Integrity Dealership Environment. DealerRater.com's #1 Customer Rated Dealership and Dealer of the Year 6 Years in a Row w/ over 8,000 Positive Customer Reviews Online :) Our Wholesale Direct - Pre Auction vehicles are inspected and safety checked and offered AS IS to the Public. Our Used Vehicle Prices do not include tax, tag, electronic filing fee, pre-delivery service charge or Dealer Fee ($699). Due to the possibility of 3rd party errors or omissions, dealership is not liable for the accuracy of information in listing. THANKS for the opportunity to earn your business! 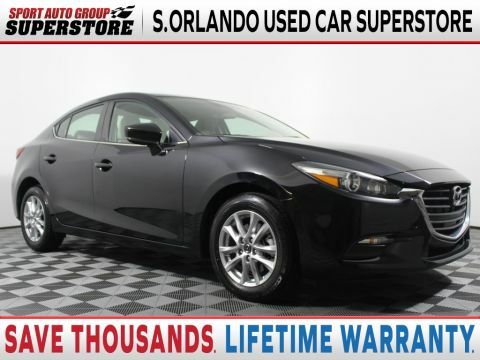 SAVE THOUSANDS, on this 2014 Mazda 3 Touring. SPORT AUTO GROUP USED CAR SUPERSTORE - 9786 S. Orange Blossom Trail, MID SIZE SEDAN, LIFETIME POWERTRAIN WARRANTY, LOCAL TRADE IN, CLEAN CARFAX, BLUETOOTH CONNECTIVITY, 16" x 6.5J Alloy Wheels. Wholesale Direct Pricing from Don Mealey / Sport Auto Group - offering Unbeatable VALUE from a name you can Trust.- We price our quality cars, trucks and SUVs below market price daily to offer the absolute BEST VALUE in Central Florida. (No Salvage, Flood or Rebuilt Titles!) We also offer Low Bank Rate Financing, Credit Union Financing and Credit Challenged Finance Solutions in a Reputable - High Integrity Dealership Environment. DealerRater.com's #1 Customer Rated Dealership and Dealer of the Year 6 Years in a Row w/ over 6,000 Positive Customer Reviews Online :) Our Wholesale Direct vehicles are inspected, safety checked and always carry any remaining Comprehensive Factory Warranty. Our Used Vehicle Prices do not include tax, tag, electronic filing fee, pre-delivery service charge or Dealer Fee ($699). Due to the possibility of 3rd party errors or omissions, dealership is not liable for the accuracy of information in listing. THANKS for the opportunity to earn your business! 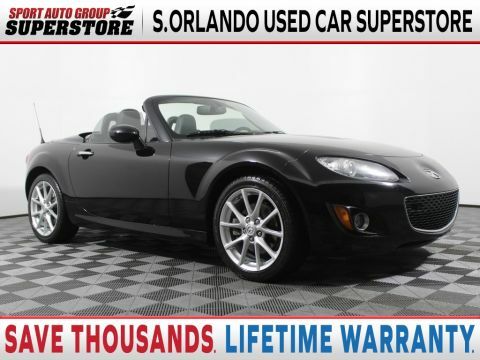 SAVE THOUSANDS, on this 2011 Mazda Miata PRHT Grand Touring. SPORT AUTO GROUP USED CAR SUPERSTORE - 9935 S. Orange Blossom Trail, CONVERTIBLE, LIFETIME POWERTRAIN WARRANTY, CLEAN CARFAX, LEATHER, BLUETOOTH CONNECTIVITY, Black w/Leather Upholstery, Alloy wheels, Anti-Theft Alarm, Bluetooth® Hands-Free Phone System, Dynamic Stability Control w/Traction Control, Mazda Advanced Keyless Entry System, Premium Package, SIRIUS Satellite Radio, Xenon Headlights. Wholesale Direct Pricing from Don Mealey / Sport Auto Group - offering Unbeatable VALUE from a name you can Trust.- We price our quality cars, trucks and SUVs below market price daily to offer the absolute BEST VALUE in Central Florida. (No Salvage, Flood or Rebuilt Titles!) We also offer Low Bank Rate Financing, Credit Union Financing and Credit Challenged Finance Solutions in a Reputable - High Integrity Dealership Environment. DealerRater.com's #1 Customer Rated Dealership and Dealer of the Year 6 Years in a Row w/ over 6,000 Postive Customer Reviews Online :) Our Wholesale Direct vehicles are inspected, safety checked and always carry any remaining Comprehensive Factory Warranty. EXCLUSIVE LIFETIME POWERTRAIN WARRANTY INFO: ( Our Nationwide warranty covers most gasoline powered Cars & SUVs offered for Sale less than 6 years old w/ less than 75,000 Miles - not applicable for Audi, BMW, Mercedes, Fiat or electric vehicles) Our Used Vehicle Prices do not include tax, tag, electronic filing fee, pre-delivery service charge or Dealer Fee ($699). Due to the possibility of 3rd party errors or omissions, dealership is not liable for the accuracy of information in listing. THANKS for the opportunity to earn your business! 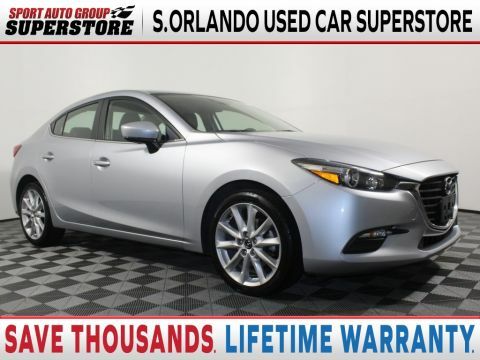 SAVE THOUSANDS on this 2016 Mazda 3 Sport. 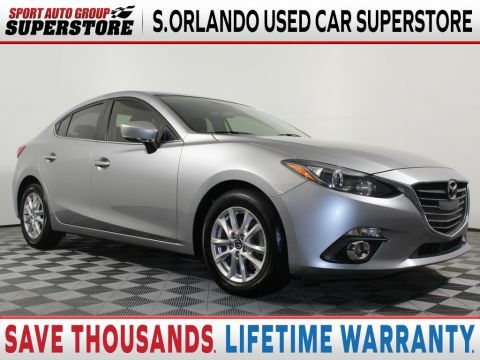 SPORT AUTO GROUP USED CAR SUPERSTORE - 9786 S. Orange Blossom Trail, SPORT SEDAN, LIFETIME POWERTRAIN WARRANTY, CLEAN CARFAX, BACK UP CAMERA, BLUETOOTH CONNECTIVITY, 16" x 6.5J Steel w/Full Wheel Covers Wheels. Wholesale Direct Pricing from Don Mealey / Sport Auto Group - offering Unbeatable VALUE from a name you can Trust.- We price our quality cars, trucks and SUVs below market price daily to offer the absolute BEST VALUE in Central Florida. (No Salvage, Flood or Rebuilt Titles!) We also offer Low Bank Rate Financing, Credit Union Financing and Credit Challenged Finance Solutions in a Reputable - High Integrity Dealership Environment. DealerRater.com's #1 Customer Rated Dealership and Dealer of the Year 6 Years in a Row w/ over 6,000 Positive Customer Reviews Online :) Our Wholesale Direct vehicles are inspected, safety checked and always carry any remaining Comprehensive Factory Warranty. Our Used Vehicle Prices do not include tax, tag, electronic filing fee, pre-delivery service charge or Dealer Fee ($699). Due to the possibility of 3rd party errors or omissions, dealership is not liable for the accuracy of information in listing. THANKS for the opportunity to earn your business! SAVE THOUSANDS on this 2017 Mazda 3 Touring. SPORT AUTO GROUP USED CAR SUPERSTORE - 9786 S. Orange Blossom Trail, LEASE THIS VEHICLE FOR LESS!, SPORT SEDAN, LIFETIME POWERTRAIN WARRANTY, ONE OWNER / CLEAN CARFAX, LEATHER, BACK UP CAMERA, BLIND SPOT MONITORING, BLUETOOTH CONNECTIVITY, 18" x 7.0J Alloy Wheels, ABS brakes, Electronic Stability Control, Emergency communication system, Front dual zone A/C, Heated door mirrors, Heated front seats, Heated Reclining Front Bucket Seats, Illuminated entry, Low tire pressure warning, Remote keyless entry, Traction control. Wholesale Direct Pricing from Don Mealey / Sport Auto Group - offering Unbeatable VALUE from a name you can Trust.- We price our quality cars, trucks and SUVs below market price daily to offer the absolute BEST VALUE in Central Florida. (No Salvage, Flood or Rebuilt Titles!) We also offer Low Bank Rate Financing, Credit Union Financing and Credit Challenged Finance Solutions in a Reputable - High Integrity Dealership Environment. DealerRater.com's #1 Customer Rated Dealership and Dealer of the Year 6 Years in a Row w/ over 6,000 Positive Customer Reviews Online :) Our Wholesale Direct vehicles are inspected, safety checked and always carry any remaining Comprehensive Factory Warranty. Our Used Vehicle Prices do not include tax, tag, electronic filing fee, pre-delivery service charge or Dealer Fee ($699). Due to the possibility of 3rd party errors or omissions, dealership is not liable for the accuracy of information in listing. THANKS for the opportunity to earn your business! 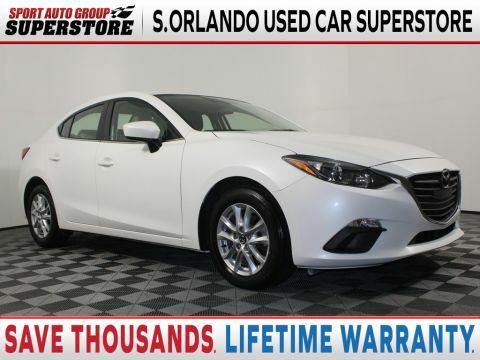 SAVE THOUSANDS on this 2016 Mazda 3 Sport! 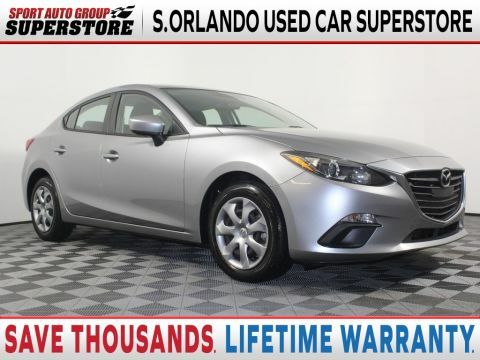 SPORT AUTO GROUP USED CAR SUPERSTORE - 9786 S. Orange Blossom Trail, SPORTY HATCHBACK, LIFETIME POWERTRAIN WARRANTY, ONE OWNER, BACK UP CAMERA, BLUETOOTH CONNECTIVITY, 16" x 6.5J Steel w/Full Wheel Covers Wheels. Wholesale Direct Pricing from Don Mealey / Sport Auto Group - offering Unbeatable VALUE from a name you can Trust.- We price our quality cars, trucks and SUVs below market price daily to offer the absolute BEST VALUE in Central Florida. (No Salvage, Flood or Rebuilt Titles!) We also offer Low Bank Rate Financing, Credit Union Financing and Credit Challenged Finance Solutions in a Reputable - High Integrity Dealership Environment. DealerRater.com's #1 Customer Rated Dealership and Dealer of the Year 6 Years in a Row w/ over 6,000 Postive Customer Reviews Online :) Our Wholesale Direct vehicles are inspected, safety checked and always carry any remaining Comprehensive Factory Warranty. EXCLUSIVE LIFETIME POWERTRAIN WARRANTY INFO: ( Our Nationwide warranty covers most vehicles offered for Sale w/ less than 80,000 Miles - not applicable for Audi, BMW, Mercedes, VW or Fiat ) Our Used Vehicle Prices do not include tax, tag, electronic filing fee, pre-delivery service charge or Dealer Fee ($699). Due to the possibility of 3rd party errors or omissions, dealership is not liable for the accuracy of information in listing. THANKS for the opportunity to earn your business! 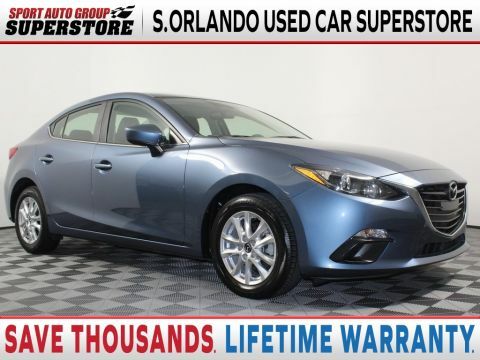 SAVE THOUSANDS on this 2016 Mazda 3 Sport. SPORT AUTO GROUP USED CAR SUPERSTORE - 9786 S. Orange Blossom Trail, SPORT SEDAN, LIFETIME POWERTRAIN WARRANTY, ONE OWNER, BACK UP CAMERA, BLUETOOTH CONNECTIVITY, 16" Alloy Wheels. Wholesale Direct Pricing from Don Mealey / Sport Auto Group - offering Unbeatable VALUE from a name you can Trust.- We price our quality cars, trucks and SUVs below market price daily to offer the absolute BEST VALUE in Central Florida. (No Salvage, Flood or Rebuilt Titles!) We also offer Low Bank Rate Financing, Credit Union Financing and Credit Challenged Finance Solutions in a Reputable - High Integrity Dealership Environment. DealerRater.com's #1 Customer Rated Dealership and Dealer of the Year 6 Years in a Row w/ over 6,000 Positive Customer Reviews Online :) Our Wholesale Direct vehicles are inspected, safety checked and always carry any remaining Comprehensive Factory Warranty. Our Used Vehicle Prices do not include tax, tag, electronic filing fee, pre-delivery service charge or Dealer Fee ($699). Due to the possibility of 3rd party errors or omissions, dealership is not liable for the accuracy of information in listing. THANKS for the opportunity to earn your business! SAVE THOUSANDS on this 2017 Mazda 3 Touring. 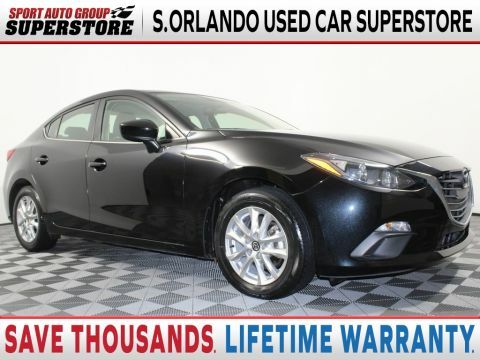 SPORT AUTO GROUP USED CAR SUPERSTORE - 9786 S. Orange Blossom Trail, COMPACT SEDAN, LIFETIME POWERTRAIN WARRANTY, ONE OWNER / CLEAN CARFAX, LEATHER, BACK UP CAMERA, BLIND SPOT MONITORING, BLUETOOTH CONNECTIVITY, Alloy wheels. Wholesale Direct Pricing from Don Mealey / Sport Auto Group - offering Unbeatable VALUE from a name you can Trust.- We price our quality cars, trucks and SUVs below market price daily to offer the absolute BEST VALUE in Central Florida. (No Salvage, Flood or Rebuilt Titles!) We also offer Low Bank Rate Financing, Credit Union Financing and Credit Challenged Finance Solutions in a Reputable - High Integrity Dealership Environment. DealerRater.com's #1 Customer Rated Dealership and Dealer of the Year 6 Years in a Row w/ over 6,000 Positive Customer Reviews Online :) Our Wholesale Direct vehicles are inspected, safety checked and always carry any remaining Comprehensive Factory Warranty. Our Used Vehicle Prices do not include tax, tag, electronic filing fee, pre-delivery service charge or Dealer Fee ($699). Due to the possibility of 3rd party errors or omissions, dealership is not liable for the accuracy of information in listing. THANKS for the opportunity to earn your business! SAVE THOUSANDS on this 2016 Mazda Mazda3 i. SPORT AUTO GROUP USED CAR SUPERSTORE - 9786 S. Orange Blossom Trail, LEASE THIS VEHICLE FOR LESS!, SPORT SEDAN, LIFETIME POWERTRAIN WARRANTY, CLEAN CARFAX, BACK UP CAMERA, BLUETOOTH CONNECTIVITY, 16" Alloy Wheels. Wholesale Direct Pricing from Don Mealey / Sport Auto Group - offering Unbeatable VALUE from a name you can Trust.- We price our quality cars, trucks and SUVs below market price daily to offer the absolute BEST VALUE in Central Florida. (No Salvage, Flood or Rebuilt Titles!) We also offer Low Bank Rate Financing, Credit Union Financing and Credit Challenged Finance Solutions in a Reputable - High Integrity Dealership Environment. DealerRater.com's #1 Customer Rated Dealership and Dealer of the Year 6 Years in a Row w/ over 6,000 Positive Customer Reviews Online :) Our Wholesale Direct vehicles are inspected, safety checked and always carry any remaining Comprehensive Factory Warranty. Our Used Vehicle Prices do not include tax, tag, electronic filing fee, pre-delivery service charge or Dealer Fee ($699). Due to the possibility of 3rd party errors or omissions, dealership is not liable for the accuracy of information in listing. THANKS for the opportunity to earn your business! 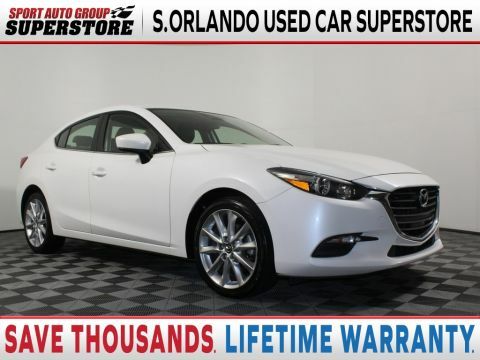 SAVE THOUSANDS on this 2016 Mazda 3 Sport. SPORT AUTO GROUP USED CAR SUPERSTORE - 9786 S. Orange Blossom Trail, SPORT SEDAN, LIFETIME POWERTRAIN WARRANTY, ONE OWNER, BACK UP CAMERA, BLUETOOTH CONNECTIVITY, 16" x 6.5J Steel w/Full Wheel Covers Wheels. Wholesale Direct Pricing from Don Mealey / Sport Auto Group - offering Unbeatable VALUE from a name you can Trust.- We price our quality cars, trucks and SUVs below market price daily to offer the absolute BEST VALUE in Central Florida. (No Salvage, Flood or Rebuilt Titles!) We also offer Low Bank Rate Financing, Credit Union Financing and Credit Challenged Finance Solutions in a Reputable - High Integrity Dealership Environment. DealerRater.com's #1 Customer Rated Dealership and Dealer of the Year 6 Years in a Row w/ over 6,000 Positive Customer Reviews Online :) Our Wholesale Direct vehicles are inspected, safety checked and always carry any remaining Comprehensive Factory Warranty. Our Used Vehicle Prices do not include tax, tag, electronic filing fee, pre-delivery service charge or Dealer Fee ($699). Due to the possibility of 3rd party errors or omissions, dealership is not liable for the accuracy of information in listing. THANKS for the opportunity to earn your business! 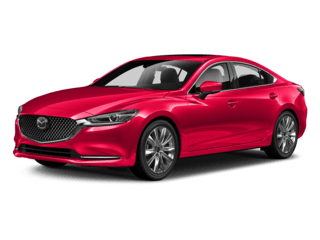 SAVE THOUSANDS on this 2016 Mazda Mazda6 i Sport. SPORT AUTO GROUP USED CAR SUPERSTORE - 9786 S. Orange Blossom Trail, LEASE THIS VEHICLE FOR LESS!, SPORT SEDAN, LIFETIME POWERTRAIN WARRANTY, ONE OWNER / CLEAN CARFAX, BACK UP CAMERA, BLUETOOTH CONNECTIVITY, 17" Alloy Wheels. Wholesale Direct Pricing from Don Mealey / Sport Auto Group - offering Unbeatable VALUE from a name you can Trust.- We price our quality cars, trucks and SUVs below market price daily to offer the absolute BEST VALUE in Central Florida. (No Salvage, Flood or Rebuilt Titles!) We also offer Low Bank Rate Financing, Credit Union Financing and Credit Challenged Finance Solutions in a Reputable - High Integrity Dealership Environment. DealerRater.com's #1 Customer Rated Dealership and Dealer of the Year 6 Years in a Row w/ over 6,000 Positive Customer Reviews Online :) Our Wholesale Direct vehicles are inspected, safety checked and always carry any remaining Comprehensive Factory Warranty. Our Used Vehicle Prices do not include tax, tag, electronic filing fee, pre-delivery service charge or Dealer Fee ($699). Due to the possibility of 3rd party errors or omissions, dealership is not liable for the accuracy of information in listing. THANKS for the opportunity to earn your business! SAVE THOUSANDS on this 2016 Mazda Mazda3 i. 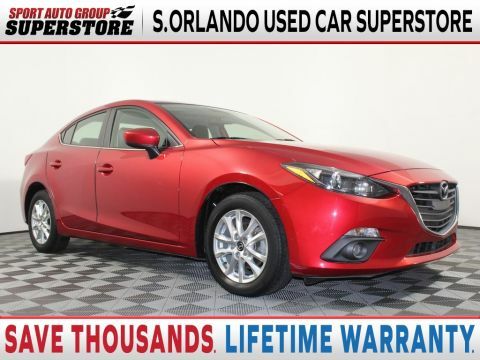 SPORT AUTO GROUP USED CAR SUPERSTORE - 9786 S. Orange Blossom Trail, LEASE THIS VEHICLE FOR LESS!, SPORT SEDAN, LIFETIME POWERTRAIN WARRANTY, LOCAL TRADE IN, ONE OWNER / CLEAN CARFAX, BACK UP CAMERA, BLUETOOTH CONNECTIVITY, 16" x 6.5J Steel w/Full Wheel Covers Wheels. Wholesale Direct Pricing from Don Mealey / Sport Auto Group - offering Unbeatable VALUE from a name you can Trust.- We price our quality cars, trucks and SUVs below market price daily to offer the absolute BEST VALUE in Central Florida. (No Salvage, Flood or Rebuilt Titles!) We also offer Low Bank Rate Financing, Credit Union Financing and Credit Challenged Finance Solutions in a Reputable - High Integrity Dealership Environment. DealerRater.com's #1 Customer Rated Dealership and Dealer of the Year 6 Years in a Row w/ over 6,000 Positive Customer Reviews Online :) Our Wholesale Direct vehicles are inspected, safety checked and always carry any remaining Comprehensive Factory Warranty. Our Used Vehicle Prices do not include tax, tag, electronic filing fee, pre-delivery service charge or Dealer Fee ($699). Due to the possibility of 3rd party errors or omissions, dealership is not liable for the accuracy of information in listing. THANKS for the opportunity to earn your business! 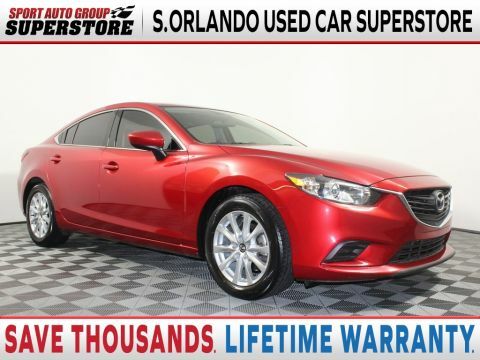 SAVE THOUSANDS, on this 2016 Mazda 6 Sport. SPORT AUTO GROUP USED CAR SUPERSTORE - 9786 S. Orange Blossom Trail, SPORT SEDAN, LIFETIME POWERTRAIN WARRANTY, ONE OWNER / CLEAN CARFAX, BACK UP CAMERA, BLUETOOTH CONNECTIVITY, 17" Alloy Wheels. Wholesale Direct Pricing from Don Mealey / Sport Auto Group - offering Unbeatable VALUE from a name you can Trust.- We price our quality cars, trucks and SUVs below market price daily to offer the absolute BEST VALUE in Central Florida. (No Salvage, Flood or Rebuilt Titles!) We also offer Low Bank Rate Financing, Credit Union Financing and Credit Challenged Finance Solutions in a Reputable - High Integrity Dealership Environment. DealerRater.com's #1 Customer Rated Dealership and Dealer of the Year 6 Years in a Row w/ over 6,000 Positive Customer Reviews Online :) Our Wholesale Direct vehicles are inspected, safety checked and always carry any remaining Comprehensive Factory Warranty. Our Used Vehicle Prices do not include tax, tag, electronic filing fee, pre-delivery service charge or Dealer Fee ($699). Due to the possibility of 3rd party errors or omissions, dealership is not liable for the accuracy of information in listing. THANKS for the opportunity to earn your business! 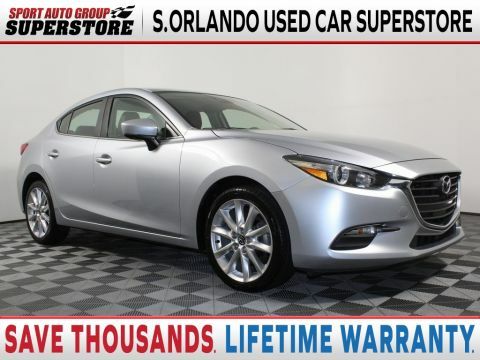 SAVE THOUSANDS, on this 2016 Mazda 3 Sport. SPORT AUTO GROUP USED CAR SUPERSTORE - 9786 S. Orange Blossom Trail, SPORT SEDAN, LIFETIME POWERTRAIN WARRANTY, LOCAL TRADE IN, ONE OWNER / CLEAN CARFAX, BACK UP CAMERA, BLUETOOTH CONNECTIVITY. Wholesale Direct Pricing from Don Mealey / Sport Auto Group - offering Unbeatable VALUE from a name you can Trust.- We price our quality cars, trucks and SUVs below market price daily to offer the absolute BEST VALUE in Central Florida. (No Salvage, Flood or Rebuilt Titles!) We also offer Low Bank Rate Financing, Credit Union Financing and Credit Challenged Finance Solutions in a Reputable - High Integrity Dealership Environment. DealerRater.com's #1 Customer Rated Dealership and Dealer of the Year 6 Years in a Row w/ over 6,000 Positive Customer Reviews Online :) Our Wholesale Direct vehicles are inspected, safety checked and always carry any remaining Comprehensive Factory Warranty. Our Used Vehicle Prices do not include tax, tag, electronic filing fee, pre-delivery service charge or Dealer Fee ($699). Due to the possibility of 3rd party errors or omissions, dealership is not liable for the accuracy of information in listing. THANKS for the opportunity to earn your business! 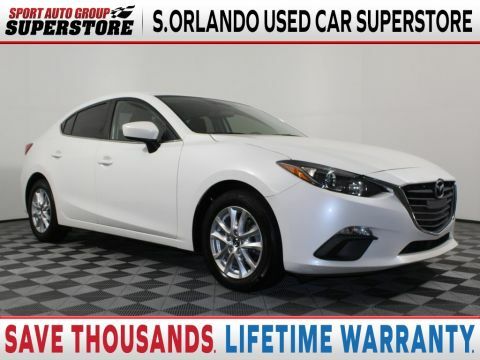 SAVE THOUSANDS, on this 2015 Mazda 3 Grand Touring. 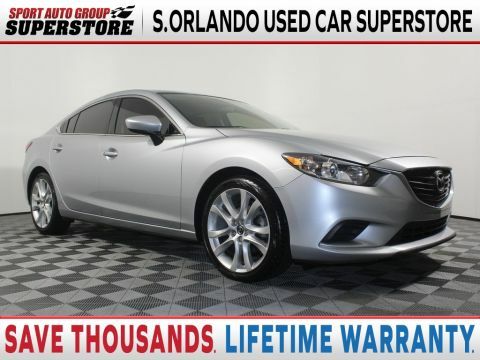 SPORT AUTO GROUP USED CAR SUPERSTORE - 9786 S. Orange Blossom Trail, MID SIZE SEDAN, LIFETIME POWERTRAIN WARRANTY, ONE OWNER / CLEAN CARFAX, SUNROOF, LEATHER, BACK UP CAMERA, NAVIGATION, BLUETOOTH CONNECTIVITY, PREMIUM SOUND SYSTEM, 16" x 6.5J Alloy Wheels. Wholesale Direct Pricing from Don Mealey / Sport Auto Group - offering Unbeatable VALUE from a name you can Trust.- We price our quality cars, trucks and SUVs below market price daily to offer the absolute BEST VALUE in Central Florida. (No Salvage, Flood or Rebuilt Titles!) We also offer Low Bank Rate Financing, Credit Union Financing and Credit Challenged Finance Solutions in a Reputable - High Integrity Dealership Environment. DealerRater.com's #1 Customer Rated Dealership and Dealer of the Year 6 Years in a Row w/ over 6,000 Positive Customer Reviews Online :) Our Wholesale Direct vehicles are inspected, safety checked and always carry any remaining Comprehensive Factory Warranty. Our Used Vehicle Prices do not include tax, tag, electronic filing fee, pre-delivery service charge or Dealer Fee ($699). Due to the possibility of 3rd party errors or omissions, dealership is not liable for the accuracy of information in listing. THANKS for the opportunity to earn your business! SAVE THOUSANDS on this 2017 Mazda Mazda3 Sport. SPORT AUTO GROUP USED CAR SUPERSTORE - 9786 S. Orange Blossom Trail, LEASE THIS VEHICLE FOR LESS!, SPORT SEDAN, LIFETIME POWERTRAIN WARRANTY, LOCAL TRADE IN, ONE OWNER / CLEAN CARFAX, BACK UP CAMERA, BLUETOOTH CONNECTIVITY, 16" x 6.5J Steel w/Full Wheel Covers Wheels. Wholesale Direct Pricing from Don Mealey / Sport Auto Group - offering Unbeatable VALUE from a name you can Trust.- We price our quality cars, trucks and SUVs below market price daily to offer the absolute BEST VALUE in Central Florida. (No Salvage, Flood or Rebuilt Titles!) We also offer Low Bank Rate Financing, Credit Union Financing and Credit Challenged Finance Solutions in a Reputable - High Integrity Dealership Environment. DealerRater.com's #1 Customer Rated Dealership and Dealer of the Year 6 Years in a Row w/ over 6,000 Positive Customer Reviews Online :) Our Wholesale Direct vehicles are inspected, safety checked and always carry any remaining Comprehensive Factory Warranty. Our Used Vehicle Prices do not include tax, tag, electronic filing fee, pre-delivery service charge or Dealer Fee ($699). Due to the possibility of 3rd party errors or omissions, dealership is not liable for the accuracy of information in listing. THANKS for the opportunity to earn your business! 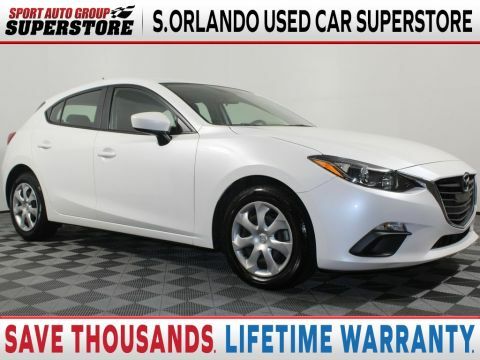 SAVE THOUSANDS, on this 2016 Mazda 3 Sport. SPORT AUTO GROUP USED CAR SUPERSTORE - 9786 S. Orange Blossom Trail, SPORT SEDAN, LIFETIME POWERTRAIN WARRANTY, BACK UP CAMERA, BLUETOOTH CONNECTIVITY, 16" Alloy Wheels. Wholesale Direct Pricing from Don Mealey / Sport Auto Group - offering Unbeatable VALUE from a name you can Trust.- We price our quality cars, trucks and SUVs below market price daily to offer the absolute BEST VALUE in Central Florida. (No Salvage, Flood or Rebuilt Titles!) We also offer Low Bank Rate Financing, Credit Union Financing and Credit Challenged Finance Solutions in a Reputable - High Integrity Dealership Environment. DealerRater.com's #1 Customer Rated Dealership and Dealer of the Year 6 Years in a Row w/ over 6,000 Positive Customer Reviews Online :) Our Wholesale Direct vehicles are inspected, safety checked and always carry any remaining Comprehensive Factory Warranty. Our Used Vehicle Prices do not include tax, tag, electronic filing fee, pre-delivery service charge or Dealer Fee ($699). Due to the possibility of 3rd party errors or omissions, dealership is not liable for the accuracy of information in listing. THANKS for the opportunity to earn your business! 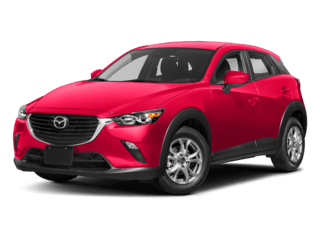 SAVE THOUSANDS on this 2017 Mazda Mazda3 Touring. SPORT AUTO GROUP USED CAR SUPERSTORE - 9786 S. Orange Blossom Trail, LEASE THIS VEHICLE FOR LESS!, SPORT SEDAN, LIFETIME POWERTRAIN WARRANTY, ONE OWNER / CLEAN CARFAX, LEATHER, BACK UP CAMERA, BLUETOOTH CONNECTIVITY, Alloy wheels. Wholesale Direct Pricing from Don Mealey / Sport Auto Group - offering Unbeatable VALUE from a name you can Trust.- We price our quality cars, trucks and SUVs below market price daily to offer the absolute BEST VALUE in Central Florida. (No Salvage, Flood or Rebuilt Titles!) We also offer Low Bank Rate Financing, Credit Union Financing and Credit Challenged Finance Solutions in a Reputable - High Integrity Dealership Environment. DealerRater.com's #1 Customer Rated Dealership and Dealer of the Year 6 Years in a Row w/ over 6,000 Positive Customer Reviews Online :) Our Wholesale Direct vehicles are inspected, safety checked and always carry any remaining Comprehensive Factory Warranty. Our Used Vehicle Prices do not include tax, tag, electronic filing fee, pre-delivery service charge or Dealer Fee ($699). Due to the possibility of 3rd party errors or omissions, dealership is not liable for the accuracy of information in listing. THANKS for the opportunity to earn your business!